"Thanks, Adrian, Not often you read the truth in print. Pat." "Read all about the Irish Cross Memorial in New Orleans at this article I wrote http://www.irishamericanjournal.com/2017/07/new-basin-canal-of-new-orleans.html"
Irish Cross memorial in New Orleans, Louisiana for thousands of Irish immigrant workers who died in the 1830s digging the New Basin Canal in New Orleans. 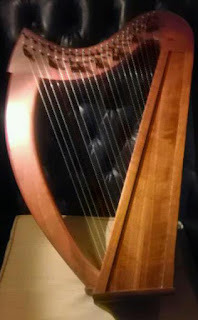 Here is an article I wrote on my blog about traditional Irish musical instruments. I hope you like it.